One of my most favorite pictures of Ray with Emma when she was not even a month old. Already you can see the bond between father and daughter. His love radiates from him as he feeds his daughter, which also provides a wonderful bonding experience between father and child. I do not believe you get the title Mom or Dad once the baby is born, but once the strip on the test turns its beautiful color letting you know you are now living and breathing choices that impact the miracle that grows inside of you. From the very beginning of my pregnancy with my daughter Emma I considered myself a Mom. We researched topics, safety, and how to help bring our baby into the world healthy and strong. We read books, I watched what a ate, what medications I took, and exercised. Ray went to every single appointment and even had a few extras to do all we could took to help keep our growing child healthy and safe until we could hold her in our arms instead of me just holding her in my womb. I kept a Belly Book for Emma and I am now currently keeping one for Abigail. In this book I write about my pregnancy each week. I also take pictures of the baby bump, record information about doctor appointments, and Ray writes his thoughts and reflections in them as well. This provides a wonderful story through our experience being pregnant with our girls that they will get to read when they are older. I also started the Baby Book before I give birth. 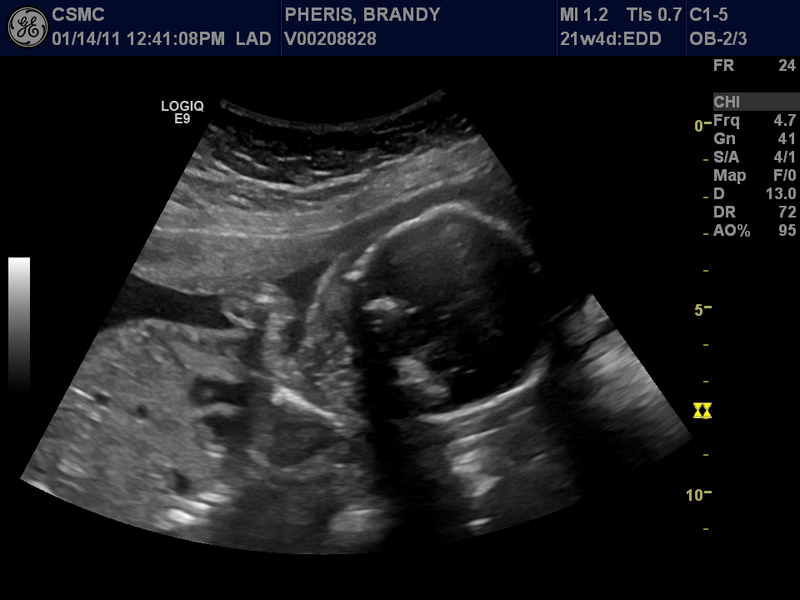 There are pages for information about the pregnancy, doctor appointments, and areas for pictures. This also provides the girls with a keepsake as well as a document that we will continue to use as they get older, usually ending at age five when they start school. As you are reading you can see that we love to document and share our experiences, love, and excitement for our daughters with our friends and family. This has also been a way that we have celebrated our pregnancies and parenthood together. Through the use of this website we are also going to be creating a book for each one of the girls that documents their pregnancy up until their 1st birthday. This will give them stories, more details, pictures, and comments other people have left for them. Facebook has also been a tool that we have used to share, celebrate, and post images about our girls with friends and family. We plan on printing those posts and placing them in the baby books for the girls to read when they are older. Writing Letters is a wonderful way to share a memory with your child. Ray and I both wrote letters to Emma and we will write a letter to Abigail. In the letters we expressed our thoughts and feelings about expecting them, how much we planned for them, loved them, and wanted them before we even knew God had blessed us with them. These letters help to express our love and desire to be parents. Painting your belly during the pregnancy to celebrate different holidays or special events is a cute way to bond with your husband and bring your pregnancy into the celebration. While pregnant with Emma Ray painted the American flag on my belly to celebrate the 4th of July. For our pregnancy with Abigail we will do something for Easter and even have Emma help paint the baby bump. Pregnancy pictures are another way to create a special memory of being pregnant and it helps to convey in images all the emotions you can't really express because they are so many and so rich sometimes they just can get past your lips. Ray and I took pictures in our 3rd trimester with Emma and plan on taking those same type of pictures during our 3rd trimester with Abigail. If you love scrapbooking, that is another way that you can create memories and celebrate your pregnancy and motherhood. You can get as fancy and detailed as my mother-in-law or you can make them simple but memorable. For each pregnancy Ray created a unique way to announce that we were pregnant, and those we saved as keepsakes for both girls and it helped him to establish that bond as the proud Dad announcing to the world that his child was on the way. When we found out the gender of our girls he did something unique to announce their gender as well. We also did a belly cast when I was pregnant with Emma and will do the same for our pregnancy with Abigail. This was a wonderful bonding experience between Ray and myself. It will be fun to add Emma to our experience doing Abigail's this time. We will eventually use them for some decorative art once we get them 100% finished, painted, polished, and ready to be hung. There are other things we did during holidays to give gifts from the kids to each other. An example of this can be seen during my recent birthday celebration. Ray gave me gifts from himself, Emma, and Abigail. This helps us bring Abigail into the family and celebrate our pregnancy at the same time during special events in our life. We did the same thing when we were pregnant with Emma. An example of doing this when we were pregnant with Emma was celebrating Mothers Day and Fathers Day even though she had not been born yet. I believe this is 100% appropriate due to the fact that I believe I am a Mom once the strip turns it's beautiful color, not once I deliver my daughter. Other examples are having special dinners, talking about your child with your partner, making special purchases to help commemorate this awesome moment in your lives, selecting baby shower themes, decorating the nursery, and selecting the coming home outfits, as well as planning your child's baptism before they even arrive. I hope that every person embraces and celebrates their pregnancies, motherhood, and fatherhood as much as possible in every way. Emma eats lunch like a big girl at her own table with chairs. She can sit all by herself. She knows to go here with her snacks, breakfast, lunch, and dinner. She also likes to sit here from time to time when we are cooking in the kitchen. Ray picked out several pajamas like the one she has on in this picture and she loves them. We were able to find them on clearance at Carter's about a month ago. Emma is also liking to wear small clips in her hair. Since her hair is getting so long and thick we are trying to keep her bangs out of her face. We will not be cutting her hair anytime in the near future, so we are happy that she is wanting to wear the clips now. Emma following her Dad around the house as always! She loves being around her Dada all day long, and when she does not get his attention fast enough she takes action and grabs it quick. Emma enjoying her first Dreamcicle ice cream with her Dad. She has his taste in food and it is amazing that she does so many little things that remind me of him. Emma loves being outside all of the time. It makes it hard on us when the weather is bad, because she can not have that little bit of outside time. She enjoys playing fetch with her dog and swinging in the hammock in the back yard. Emma also likes to run around and feel the texture of the grass, trees, and plants. Emma also enjoys many moments of relaxing in her princess chair with her princess blanket. She likes to sit here and watch her favorite shows on the big screen t.v. It is amazing how much her Daddy lets her have her way and he winds up in the master bedroom watching his sports while Emma watches her Mickey Mouse Clubhouse on the big t.v. in the living room. The image is of Abigail's birth flower, Lily of the Valley, that was made into a bride's bouquet. I think it is breathtaking elegance and hope one day Abigail will want to incorporate her birth flower into her own weeding. We continue to give thanks and praise that we have been blessed to make it to 24 weeks! Two weeks ago we were told it would not happen, but God provided us with a miracle. We take pleasure in getting to feel Abigail move, listen to her heartbeat, and to continue our bond with her while being pregnant. Emma likes to help Ray listen for Abigail's heartbeat and movements with the Doppler. Emma can say sister, baby, and Abby. She peaks into Abigail's bedroom from time to time to see what all is going on. As of today Abigail is 24 weeks, which is a bit ahead of schedule, but not that much. Her face is almost completely formed, down to the tiny eyelashes, and we think through ultrasound pictures that she looks like Emma, so we are sure she is going to have those "Hollywood Eyelashes" like their Momma. Abigail is a bit bigger than 8 inches long, which is the size of a large banana and she weighs about 2 pounds by now, considering she has been gaining about 6 ounces each week for the last couple of weeks and she weighed in at one pound on January 14th. We look forward to our future doctor appointments, ultrasounds, and learning more about Abigail as we journey towards her birthday in May. Thank you to everyone who continues to keep us in your thoughts and prayers. We will have an updated post about Abigail from her next appointment sometime at the end of next week. We are now officially in total celebration mode as we get ready to join with friends and family to welcome Abigail to our family this May. With everything that has been going on we are focusing on the positive and celebrating each milestone along the way. These two pictures are of the theme that we have selected to celebrate Abigail with, as this was Ray's favorite. He is so excited and just over the moon with having another little girl in the house. This is the theme that we have selected for Abigail's nursery. We have decided to go with the theme Ray selected for Emma. We were going to go with a different theme, but we loved this one so much and it is perfect for a baby girl! Abigail is such an active baby, we are so blessed to have such a healthy, active, and beautiful daughter. We look forward to putting her nursery together and decorating it with all of those special things that make it truly Abigail's room. I am even looking forward to getting the closet organized and clothing laid out! I know, I am such a planner, and with my OCD tendencies this means all will be ready by 7 months if not sooner : ) Being able to do these things help me cherish this time, celebrate new little girl, and stay thankful for the many blessings that we have. Emma is now seating at her own table to eat her snacks and food. She has been learning how to do this at day care for the last month and we wanted to reinforce it at home. Now that I am no longer able to pick her up and place her in the highchair this has really come in handy. Emma no longer sleeps in a crib, toddler bed, or anything so tiny. Emma now sleeps in a queen sized bed all by herself! She never liked the toddler bed, yet would sleep in our king sized bed with no problems. With her height being a steady growing issue we would be in a big kid's bed quickly anyway. So to stop fighting the inevitable, we gave Emma the bed that was in our guest bedroom and have given Abigail all of the nursery furniture, thus saving at least $1000.00 dollars on furniture! To make Emma feel extra special we went to Target and picked out this adorable floral pattern quilt and have given her a toddler theme to enjoy for the next couple of years. As you can see, Emma has of ton of toys to help keep her busy and growing. Emma has really developed a love of music and dancing, and the majority of her new toys bring out her dancing, singing, and rhythm. Thank God she takes after me and has my natural rhythm and not her Dada's! Today, based off of doctor's measurements, Brandie is 23 weeks and at this past Thursday's doctor appointment Brandie and Abigail looked wonderful. We had another ultrasound and Abby was active and healthy. Brandie looked great as well and they expect her to carry Abby to full term. This has been a roller coaster of a week, but we have been blessed and had the best possible outcome, defying the odds. Thanks again to everyone for you thoughts and prayers, God is Great! After being in the hospital for 3 days, we received some promising news today. Dr. Gayle examined Brandie and her cervix has closed completely! This means that out long-term prognosis is a bit more promising. The doctors are weening her off of the medications to see if the contractions stay away, and if they do Brandie may be able to rest at home instead of in the hospital, which would be a blessing. Please keep the prayers coming so we can keep Abby where she is until May! What can I say about our wonderful daughter that we have not already said. She is a joy to us and we have felt blessed to have her in our lives since we first found out we were expecting her in November of 2008. We have loved watching her grow, seeing her explore her surroundings, try new things, and develop her own personality. She is a very active little girl and really enjoys playing with Reggie, playing with her toys, going bye bye, being outside, and watching her favorite show, the Mickey Mouse Clubhouse. As we prepare for Abigail this May some major changes have taken place for Emma. She knows that Momma is going to have a baby. Emma can say baby, Abby, Sister, and many other new and exciting words. Because of little sister coming, Emma is now enjoying a queen sized bed and her new toddler decorated room. Emma's understanding of the Spanish language is increasing every day. We have her in a dual language day care so she is exposed to Spanish on a daily basis through books, music, art, and her teachers. She really enjoys going to day care every day and interacting with the teachers and fellow classmates. At her checkup today she weighed 31.2lbs, so as of today she has only gained 2.2 lbs since her 1st birthday in July. Emma is now 34 1/4 inches tall and this is a growth of 3 1/4 inches since her 1st birthday. She is growing really fast and still remains in the high ninetieth percentile for all areas. Emma is now wearing a size 3t with room for growth; many items we find in 18 months or 2t shrink so fast she can only wear them a couple of times. The cake was made locally in Bryan. It was strawberry and chocolate. It was absolutely delicious. The flavors were perfect, the cake moist, and the icing was just right! Emma helping me open my gifts, she is really getting into tearing the wrapping paper off of gifts. She also enjoys being the helper for cleanup duty after all the fun of opening gifts. For those of you who watch the Big Bang Theory, you will total get this gift. It gave me a great laugh, and Ray had to keep an eye on this item because it was hard to get, it took him 2 months to find one. Filled with rose petals that Ray hand picked off of roses to fill in the box to cover up my wonderful gifts from him and the girls. A truly romantic presentation by a wonderful man. Inside I find the hidden treasure! Three pair of earrings, one each from the most special people in my life. Thank you very much Ray, Emma, and Abigail! I love all three pair and the wonderful birthday cards that each of you gave me. A picture of all the wonderful things that I received on my 30th birthday! I am truly blessed to have such a loving and thoughtful family! This romantic bouquet of flowers is from Ray. He selected the flowers and helped the florists design them. They are from here in Bryan. This sweet bouquet of flowers with three balloons is from my girls! Emma and Abigail had them delivered to my work on Friday to help me kick off the celebration of my birthday weekend! My own birth flowers are carnations, and these are sweet, romantic, and last longer than the most expensive flowers you can buy. Its nice to see them as I work in the kitchen making dinner or doing the dishes at the sink. My wonderful cake! Getting ready to have breakfast on 1/9/11! We were so busy and had such a wonderful dinner at The Republic that we did not have time for cake before bed, so we started off our Sunday morning singing Happy Birthday and me making my birthday wish. Making my wish and getting ready to start my day off with a bit more shopping and tea at the St. Regis Hotel in Houston! I had such a wonderful day! I got to spend it with the most important people Ray, Emma, and Abigail. We redecorated Emma's room, moved Abigail's furniture into her room, and did many other things. Thank you Ray for making me feel so special on my birthday. I want to wish a Happy 30th Birthday to my wife, friend, love, and all of those other words that describe what Brandie means to me. We had a fun and busy day. Emerald is the Birthstone for May. I have always loved emeralds. Lily of the Valley is the Birth Flower for May. This is a very beautiful and delicate flower. I already know that this child has a strong determination, loves to be moving at all hours, and has a spunky personality. We look forward to getting to know her as she grows and explores the world the Lord has made. We want to wish you a very special Happy Birthday filled with love, laughter, and family. We hope that all your dreams come true. No matter where you are know that we think of you on your very special day and send all our love your way. As we say goodbye to 2010 there were many wonderful memories like Emma turning 1, anniversaries, birthdays, trips, and other wonderful blessings in our lives and the lives of our loved ones. There were lessons that had to be learned and some sadness along the way, but those events help us appreciate our lives and the blessings God gives us. I try to remember that no matter what life brings each experience can make us stronger and there is always something to learn. So for 2011 I embrace you and all that you can bring me! I will turn 30 on January 8th and I love it! I will finish my Master's degree this month as well and cannot wait to not have to worry about a deadline and devote more of my time to being a mother and wife to the most wonderful people in the world. Ray and I will welcome Abigail to our family in May, Emma will turn 2, and Ray and I will celebrate 18 years of being together and 10 years married! These are just a few of the wonderful things that I look forward to in 2011. I wish, hope, and pray for Happy New Year for my family and all the ones we hold dear to our heart. May you find 2011 filled with love, happiness, and prosperity.